Jaydeep Steels is known to be one of the largest worldwide exporter, manufacturer, and supplier of the finest range of Stainless Steel Fasteners. Meeting clients’ exact requirements by providing Stainless Steel Fasteners for various kinds of critical applications has always been of first priority to us. Our fasteners are highly acclaimed among most of our customers because of their dimensional accuracy and long service life. Our Stainless Steel Fasteners have about 18% chromium and 8% nickel. They have various appreciable features like low carbon content, high resistance to corrosion and rusting, easy hardening properties, etc. All such features make these SS Fasteners highly valuable in various industrial fields. We offer the Stainless Steel Fasteners in different grades like 317L, 321H, 347H, 316Ti, 310, and many more. All the different grades of stainless steel are manufactured from the best quality raw materials to make sure that our customers are being served with the finest products. With the help of our modern technologies and top-notch machinery, the manufacturing process of stainless steel fasteners becomes really smooth and error-free. At Jaydeep Steels, the manufacturing process of Stainless Steel Fasteners is controlled according to the international quality standards, and a wide range of stringent quality tests. 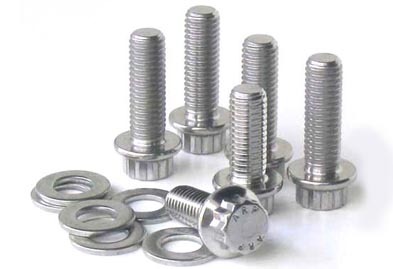 Our stock contains different types of fasteners like Stainless Steel Nuts, Stainless Steel Bolts, Stainless Steel Screw, Stainless Steel Washers, Stainless Steel Sockets, Stainless Steel Cap Screw, and much more. All our fasteners are put to use in various major industries like chemical industry, oil industry, boiler industry, electric power industry, and many more. Contact us today to request a free quote! Grade 304, 304L, 316, 316L, 309, 310, 317L, 321, 347, 409, 410, 420, 430, 446, 202 etc. 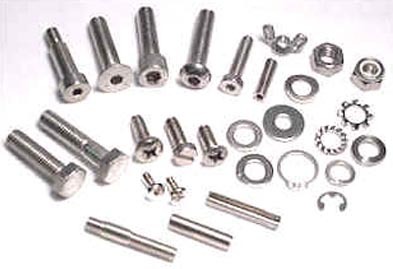 Types Bolts, Nuts, Screws, Sockets, Studs, Screw, Hex Set Screw, Socket Screw, Cap Screw, Pan Head Screw, Machine Screw, Socket Head Cap Screw, Allen Cap screw, Wing Screw, Washers, Spring Washers, Studs, Anchors, Marine Anchors, Nut, Hexagon Nut, Hex Nut, Hex Coupling Nut, Hex Domed Cap Nuts, Square Nut, Stud Bolts, Hex Head Bolts, Socket Hexagon Head Screw Anchor Bolt, U- Bolts, J Bolts, Mushroom Head Square Neck Bolts, T-Head Bolts, Wing Screw, Eye Bolt, Foundation Bolts, Structural Bolts. Jaydeep Steels stocks a wide range of materials and grades. Below is a list of all standard stainless steel fasteners materials and grades we stock. Our experienced team of metal experts will get you the metal you need when you need it. Call us today for your Stainless Steel Fasteners Needs!